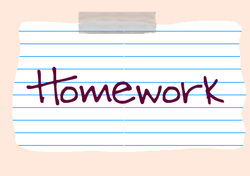 Throughout the year there are regular, weekly homework assignments in our class, Journal and reading log. Often there may be additional homework assignments from our daily lessons It is very important that you check your child’s planner/calendar often. Homework usually 4 times a week and about 30 - 45 minutes to complete. If your child is consistently having trouble completing the homework in this timeframe, please let me know.